A Wi-Fi thermostat will lower the cost of heating and cooling without sacrificing indoor comfort. Silverstate Air Conditioning has selected Honeywell's Wi-Fi Programmable Thermostat as the “best of” in it’s category because Scottsdale AZ homeowners and commercial property managers can reduce utility bills and lower wear and tear on their equipment by installing one of these units. Wi-Fi thermostats are the rage but can they lower heating and cooling bills? After much research, the time tested, experienced team at Silverstate HVAC http://scottsdaleairconditioning.biz/ has chosen Honeywell's seven day programmable thermostat as their choice for the "best of" in programmable thermostats.The unit practically programs itself according to owner Shane Thompson. Homeowners can change the color display to match a home’s decor. The unit connects to the Internet, displays outdoor weather conditions and provides the owner with portable control through their smart phone. Wi-Fi programmability literally means that you can control the comfort of your living and working space from anywhere in the world. Total Connect Comfort with ADR, a new Wi-Fi-enabled thermostat for the home that also connects with a suite of utility technology and services to manage energy consumption. The solution helps consumers trim their electricity bills while enabling utilities to avoid brownouts and blackouts during summer's hottest days. With this technology, utilities recruit homeowners to participate in programs to reduce their energy use when demand spikes, also known as automated demand response (ADR -0.17%). In some areas, participating customers receive a Honeywell Wi-Fi programmable thermostat, valued at $150, installed in their home free of charge. Using Honeywell's Total Connect Comfort app, the highest-rated thermostat application in both iTunes® and Google Play™, homeowners can program and adjust their temperature and manage energy use from the living room couch or around the world with a smartphone or any Web-connected device. The U.S. Environmental Protection Agency estimates that programmable thermostats can save the average homeowner nearly $200 on annual heating and cooling costs. Honeywell's Wi-Fi programmable thermostats feature easy installation by a professional such as Silverstate air conditioning repair. An app is available for your smartphone and the unit practically programmes itself. Contact your local HVAC contractor to see if you qualify for a rebate from the local power company. A heating and air conditioning repair contractor serving the entire Scottsdale area, including Chandler, Gilbert, Glendale, Mesa, Peoria, Phoenix, Surprise and Tempe, AZ. Th. 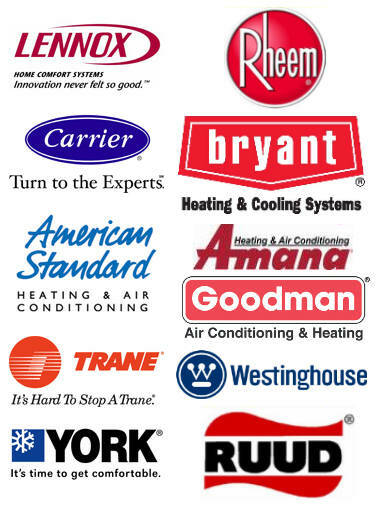 The company employs NATE certified technicians that are licensed, bonded, insured and certified to repair Trane, Carrier, Amana, Goodman, American Standard, Lennox, Bryant, Rheem, Ruud and other top air conditioning and heating equipment found in residential and light commercial applications.